Aishwarya Rai Bachchan and Abhishek Bachchan were the major planners of all the surprises during Amitabh Bachchan’s 75th birthday celebration at Maldives. The Bollywood couple along with their daughter Aaradhya were snapped at the airport as they returned from Maldives on October 13, 2017. Abhishek, Aishwarya and their daughter Aaradhya made the perfect family as they wore white co-ordinated outfits. 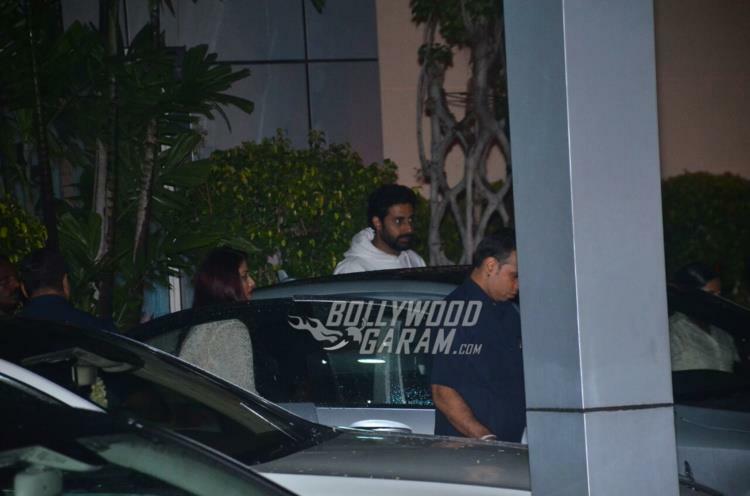 The Guru actress looked pretty in a white ethnic outfit while Abhishek looked dapper in a white pullover and a pair of denim. 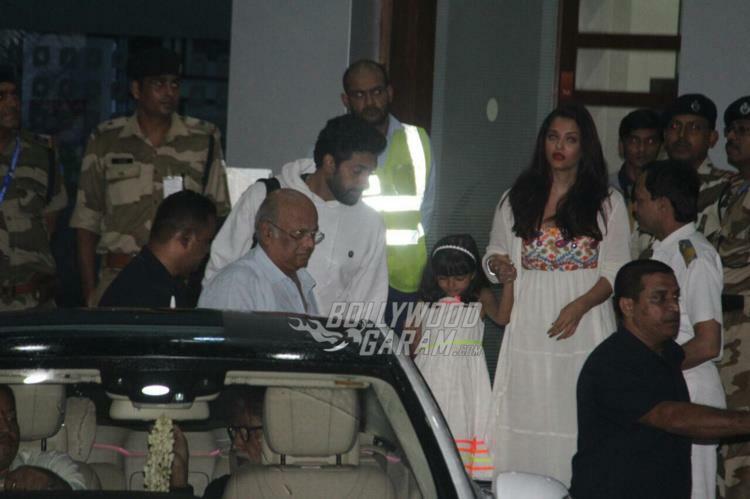 Little Aaradhya too opted for a white outfit. The Refugee actor and wife Aishwarya were the ones who planned the perfect family holiday to mark the 75th birthday celebration of the legendary actor. The entire Bachchan family flew to Maldives for a holiday and had a great time together. Abhishek had hinted about the celebrations when he posted a picture on Instagram which showed fireworks with the words Happy Birthday while Big B looks on. 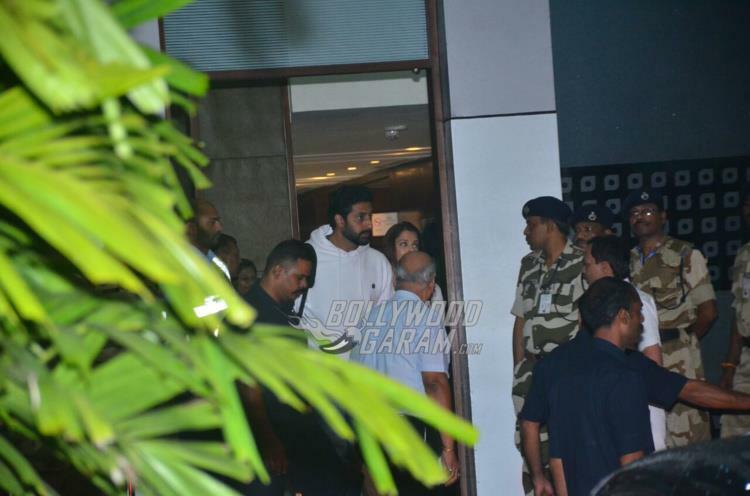 Exclusive photos of Abhishek Bachchan, Aishwarya and daughter Aaradhya!